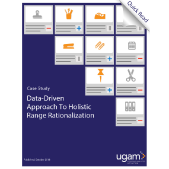 Learn how Ugam helped the head of merchandising at a large office supplies distributor increase margins and revenue through holistic SKU rationalization. 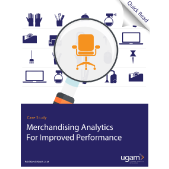 Learn how Ugam helped a multibillion-dollar distributor of workplace essentials measure category and manager performance using merchandising analytics. 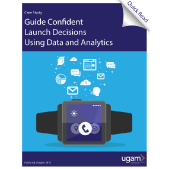 Learn how Ugam leveraged its data and analytics capabilities to help a U.S. retailer successfully launch a playbook for luxury watches, by analyzing data on competitor assortment, pricing and consumer demand signals. 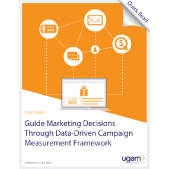 Learn how a U.S. retailer improved the effectiveness of its multi-channel seasonal marketing campaigns to drive traffic and acquire new customers. 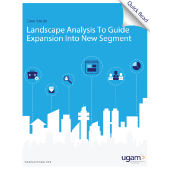 Learn how a leading U.S. marketplace, primarily into B2C, leveraged data and analytics to successfully diversify into a new segment – B2B. 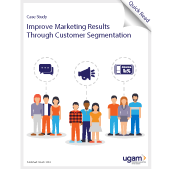 Learn how a U.S. specialty retailer partnered with Ugam to identify relevant customer segments for targeted marketing efforts. 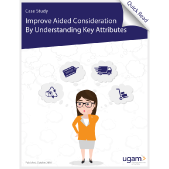 Learn how a leading U.S. retailer was able to understand the impact of key attributes driving aided consideration using a quantifiable metric. 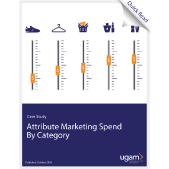 Learn how a U.S. retailer was able to understand marketing spend to help drive category performance by creating a data-driven framework. 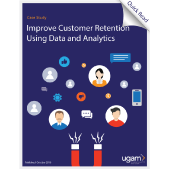 Learn how a leading department store chain improved customer retention in their loyalty program by using past data to run targeted marketing efforts. 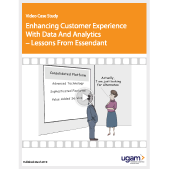 Learn how Essendant improved sales and customer experience by listening to their customer and provisioning alternates. This was presented during a keynote at B2B Online 2018.